Thank you for your interest in using Heritage Square as the location for your photography. The Square is a beautiful venue for capturing your family history and we look forward to seeing you soon. The following guidelines apply to all photography and filming to ensure protection of the park environment and safety and access for all visitors. Personal photography and filming are generally allowed without special permission of permits. Personal photography must take place during normal park hours and is restricted to public use areas only. Photographers must use hand-held equipment only – no professional props, sets, actors, supplemental lighting, or motorized equipment can be used. Any on-site furniture or equipment moved by photographers or subjects during a shoot, i.e. park benches, must be replaced. All personal photography and filming is subject to the direction of the park and Foundation staff. Any activity that interferes with the use, operation, or enjoyment of the site can be limited or prohibited by staff. 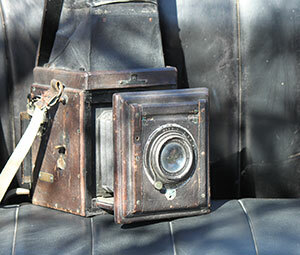 We invite photographers to share their Heritage Square work on our Facebook site. Private, noncommercial use photography in the Rosson House Museum is encouraged. Photographs taken during tours may not be commercially published, sold, reproduced, distributed, or otherwise commercially exploited in any manner. Flash photography, tripods, and other photographic equipment are not permitted during public tours. Photography must be conducted without disruption to the Museum tour. Guests taking photos must stay with the tour group. During public tours, informal filming is permitted only with prior permission from staff members. Upon request, the Heritage Square Staff will schedule special, behind-the-barriers photography tours of the Rosson House Museum. Contact Visitor Services by email or at 602-262-5070 for more information. Photography tours are for amateur photographers only. No assistants, models or external props are allowed. Photographers must be accompanied by a staff member. Photographers are allowed behind barricades, but must not handle objects. Staff members may move an object at their discretion for the photographer. Photographers must use existing light. No flash photography, lights, reflectors, or bounce boards are permitted. Tripods and monopods can be used, however all feet must be rubber-capped. Tripods must be moved with care so that they do not scuff the walls or floors. Only shoulder-slung or back-pack style camera bags are allowed. Extra care must be taken when moving through the house with camera bags. When not in use, camera bags should be set on the floor, not on the furniture. Out of consideration for your fellow photographers, bags should also be kept out of high traffic areas. Requests for private photography inside of the Rosson House Museum must be presented in writing. All requests must be made at least 2 weeks in advance and must be approved by the Executive Director. The Executive Director has the right to refuse a photography request should the subject conflict with the mission or image of Heritage Square. Private photographers must rent the interior of the Rosson House Museum during non-public hours. Rentals are conducted by the hour and the photographer must pre-pay a staffing, rental fee and damage deposit. The rental fee is $250 per hour, the refundable damage deposit is $500 and the staff fee is $40 per staff member per hour. The Executive Director will determine the number of staff required for a photography shoot. External props are not allowed in the Rosson House Museum. Additionally, the application of make-up, hair products, glitter and clothing changes are not allowed inside of the Museum. Photographers, assistants and models must be accompanied by a staff member. Photographers, assistants and models are allowed behind barricades, but must not touch, handle, pose or sit on the artifacts. Staff members may move an object at their discretion for the photographer. Only shoulder-slung or back-pack style camera bags are allowed. Extra care must be taken when moving through the house with camera bags. When not in use, camera bags should be set on the floor, not on the furniture. Requests for the commercial filming of the interior of the Rosson House Museum or anywhere in Heritage Square require a permit from the City of Phoenix Film Office. Additional information about commercial filming on City of Phoenix property can be found at http://phoenix.gov/econdev/filmphx/index.html or by calling the Film Office at 602-262-4850. After the proper permits are received from the City of Phoenix Film Office, the production company must rent the interior of the Rosson House Museum during non-public hours. Rentals are conducted by the hour and the company must pre-pay a staffing, rental fee and damage deposit. The rental fee is $250 per hour, the refundable damage deposit is $500 and the staff fee is $40 per staff member per hour. The Executive Director will determine the number of staff required for a filming request. Commercial filming shoots must follow the same rules and regulations outlined for photography shoots.